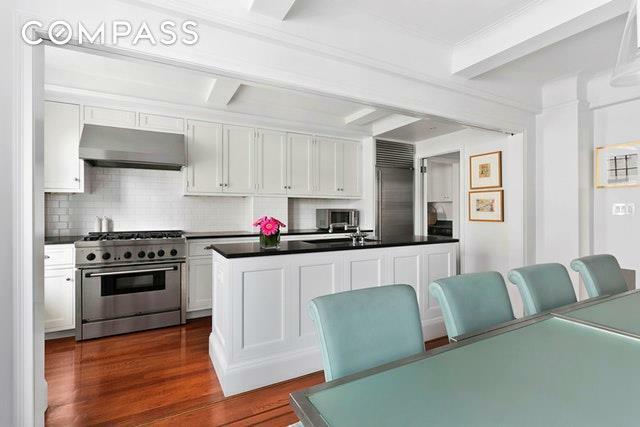 Enjoy the gracious lifestyle of another era in this immaculate Greenwich Village Gold Coast Pre-War 2 bed/2.5 bath home with dining room and den. 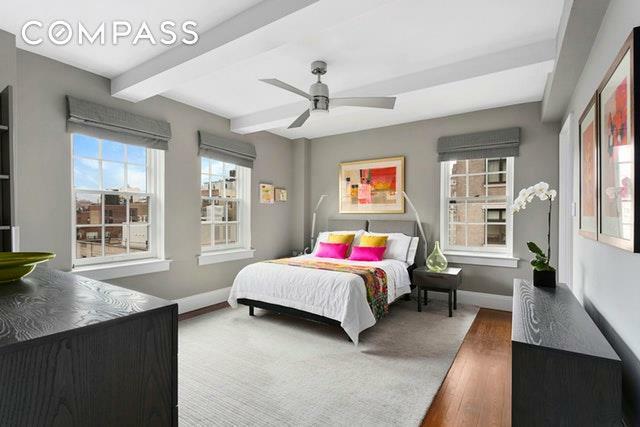 Renovated to the highest standards while maintaining its original charm - wood-burning fireplace, columns, inlaid hardwood floors - this expansive high-floor corner unit has been enhanced with a contemporary touch. 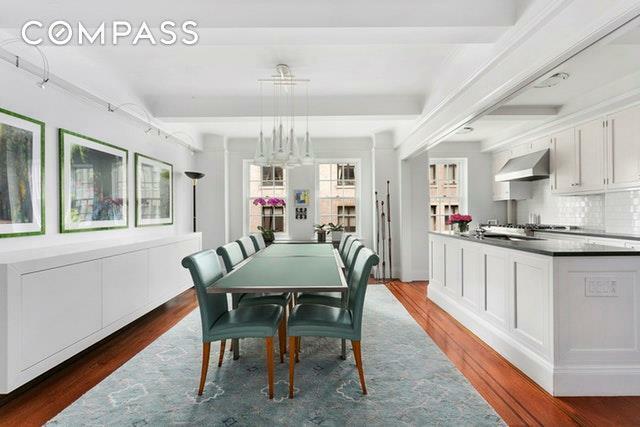 With thirteen windows overlooking Lower Fifth Avenue and 12th Street, the western views from the living room and master bedroom feature the landmark First Presbyterian Church bell tower and continue to the Hudson River and beyond. The sunsets will take your breath away! The large open plan dining room/kitchen can be separated by custom folding doors to create a more formal entertainment environment. A third windowed room currently configured as an enormous walk-in closet can be re-purposed for myriad uses: as a study, den, sleeping area, and more. The suite of top-end appliances include a washer and dryer.Built in 1929, 51 Fifth Avenue was designed by Thomas W. Lamb, perhaps better known as one of the foremost architects of theaters and cinemas in the 20th century. There is a full-time doorman, live-in super, and well-appointed gym. Co-purchasing and pied-a-terres are allowed. Pet-friendly, and parking is available nearby. But in the end - the location, location, location is superb. 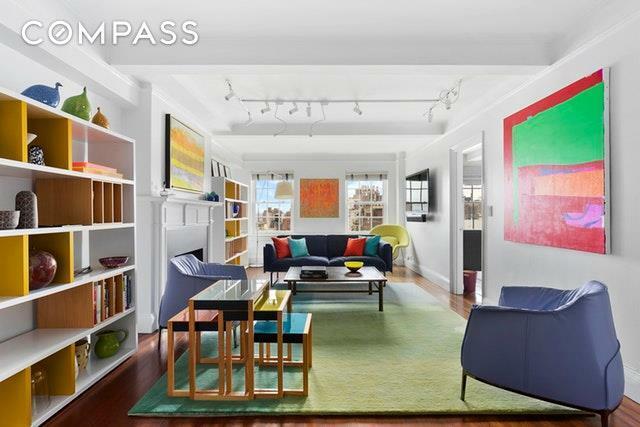 Listing courtesy of Bill Herbst of Compass.